Ngwanya Hlatshwayo believes that his attitude is what got him into the top 16 of the Vodacom NXT LVL competition. “I tried working hard and I think it is my attitude because I always want things to be done the right way, I feel like I can bring a win to the team with the capacity of stopping the ball as a goalkeeper," said the 15-year-old. “The players are great and there are no players who treat us differently based on our age we all have respect for one another. “As a young star I have learned a lot from the soccer legends whom I call my coaches. Dashy Bhaktawer being my goalkeeping coach has truly grown me as a player, furthermore he has taught me to be patient in life. Bhaktawer told me in order for me to grow I need to personally improve everyday on my game, even if it means I train by myself. 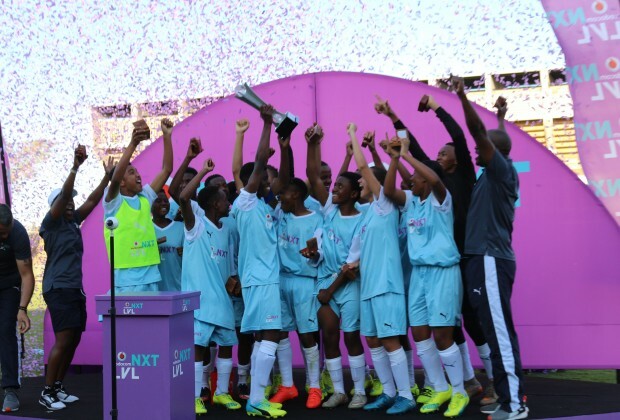 “My message to the Vodacom NXT LVL coaches, thank you for encouraging, growing and I wish it is not only us you help,” he concluded.